The Toyota Corolla has a history of being one of the most dependable vehicles in its class, and its sales will tell you that this has been a very popular car, mostly due to its excellent fuel economy, affordable base price, and a record for reliability. What it hasn’t been popular for has been its design. It’s never been known as a head-turner, but that is all about to change. With the launch of the 11th generation Corolla, Toyota themselves have said they want this Corolla to be the vehicle you want to buy, instead of the one you should buy. So what’s new with the new Corolla, and why should you be interested? We’ll give you 3 reasons! Upon immediately seeing the new Corolla, you will be impressed by its more expressive, chiseled design and athletic proportions that ride on a longer wheelbase than its previous model. With a more tapered front and rear expression, the Corolla exudes a more dynamic compact sedan form. Having listened to consumer reviews and complaints, Toyota strived to make this the best Corolla yet. One of the ways they could do that was by listening to the consumer when they said that the Corolla needed to be more fun to drive. 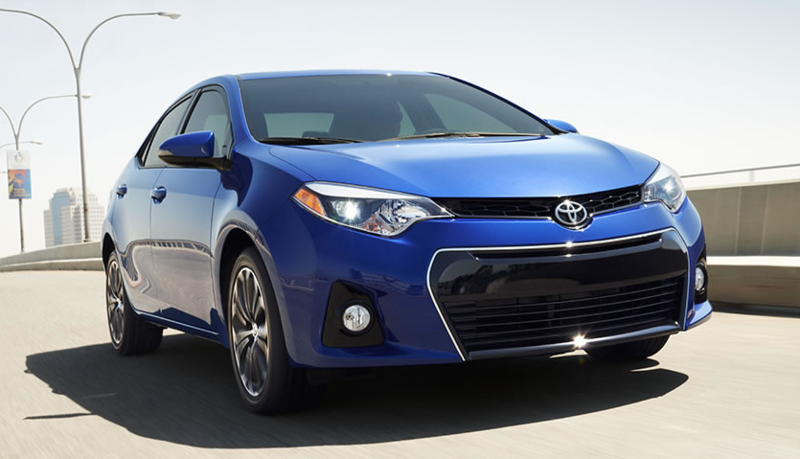 Now, the Corolla offers improved handling and steering thanks to a rigid unibody which can improve suspension tuning. The result is a more engaging, better handling, more dynamic car. Open the door of the Corolla and you will be surrounded by a stylish, more functional and inviting space than ever before. You will also sense a higher quality craftsmanship and a careful attention to detail. The aesthetics are pleasing to the eye, specially the use of piano-black gloss trim throughout the interior. With the increase of the vehicle wheelbase comes a much more comfortable compact, with more legroom for rear seat passengers. The seats themselves have also been upgraded to provide more comfort, thanks to their denser urethane pads and foam inserts within the seats. Remove all thoughts and opinions you have had about the Corolla in the past. Everything has changed now, for the better of course. Toyota listened and created you a Corolla that you will desperately WANT to have, not need. Now you can look stylish in your Corolla as you drive on the fabulous streets of Los Angeles, turning heads wherever you go. 0 comment(s) so far on Take a Peek at the new 2014 Toyota Corolla. You Might be Surprised!